Consumption, Savings, Permanent Income, Hypothesis, Random Walk Model, Keynes Consumption Function, Determinants of Savings. Like lot of countries, aggregate consumption constitutes a major portion of Gross Domestic Product (GDP) in Egypt. Consumption decisions determine savings decisions. In long term growth literature, differences in long term growth had been explained to a large extent by differences in the rates of savings which also determine a countryâ€™s investment in productive capacity, human capital and socio-economic infrastructure. In this study, we analyse macroeconomic determinants of savings in Egypt using Ordinary multiple regression. Our results indicate that national savings rate is positively related with real GDP growth rate. This suggests that saving is a positive function of income. The evidence suggests that national savings rate is negatively related with federal debt growth and inflation. This hints towards crowding out of private sector investment through decline in savings rate as a result of governmentâ€™s indebtedness. Finally, negative association between savings rate and inflation implies that the consumer is rational and makes decisions based on his perceptions when it comes to allocating the lifetime resources over the period of his life. Increase in inflation dampens the incentive to save and people respond rationally which is made evident by the negative sign on inflation coefficient in our model. 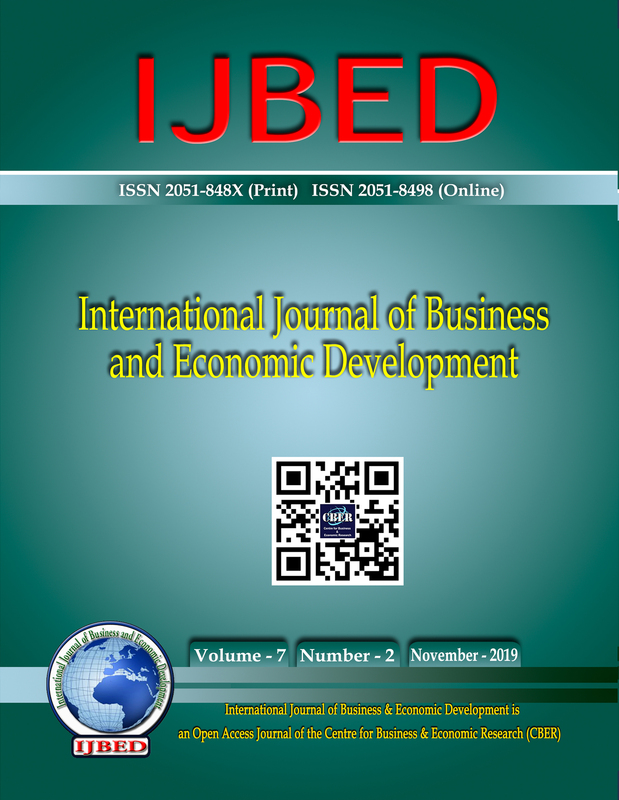 Managerial competency in government owned organizations: a comparative analysis of gender differences in Nigeria.